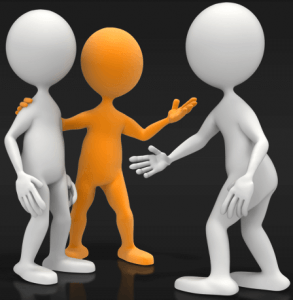 Introductions when properly orchestrated are key to productive and efficient networking. A good host with an accommodating and welcoming lead can instantly place all attendees at ease while making them feel welcome and connected. The effectiveness of formal introductions in a social setting, cannot be emphasized enough. 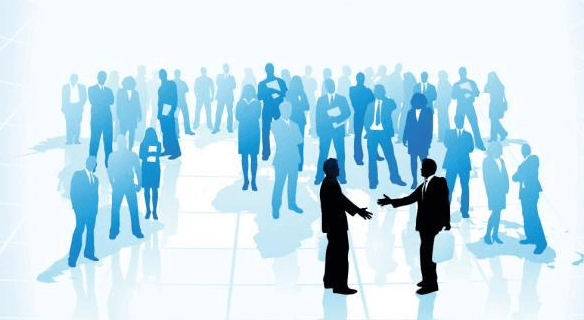 I share with you first hand an experience I had on a recent business trip I took to Jamaica and what can result when there are no formal introductions in a small gathering over a social dinner meeting. We were staying at a resort and each day we only had to attend a short 2 hour session. But in the evening, we broke into small groups of 5 couples, each hosted by a different sales lead. The evening of our dinner meet, I didn’t pay attention to the formal dress code at our select dining location – NO SHORTS – so I had to walk back to our room, change & walk back. This removed me from my group by 20 minutes, as this was a large resort. Of course, whenever we leave a party for even 5 minutes, we feel we missed the world, moved to the back of the line and remain out of sync for the remainder of the event. I returned and my group graciously delayed ordering until I rejoined them. Regrouping, I still felt I missed the intros, the short bios of each person and other details which would have made me feel included in our inner circle. For the remainder of the 3 hour evening I felt a bit off, like I missed key information about the others around our table. Despite trying to connect and get a conversation going, for me it stayed light, superficial and just didn’t go anywhere. Food was great and so were the people. The evening end and I felt it was my initial absence that placed me outside. Oh, well. No big deal I thought. Next morning my wife and I we were having breakfast on the beach. Another couple who we quickly befriended at the start of this trip joined us. We quickly shared our menu choices from evening prior and ensuing conversations. When I mentioned I felt outside, obviously because of my 20 minute departure, and having missed everyone’s introduction. Susan quickly interjected and stated, “No, no, you didn’t miss anything. There were no introductions done by our host !”. Instantly I was relieved and retreated from blaming myself. Things quickly explained themselves as I felt many times during the evening how difficult it was for the other couples, including myself, to connect with conversation over some commonality we all should have shared. Start by introducing myself and give a short 1 minute bio of some detail the others can use to bridge and connect with me. Go to the next couple or person and invite the same from them. As people are sharing some details of themselves, its natural others will jump in with some humor or sharing connection. Continue till everyone has had their chance to introduce themselves and share something about themselves. Before you are done going around the table, some may start conversing with their neighbors about some common interest they just shared. As the evening progresses, if I as host see a person or couple fading from conversation, I can quickly pipe in and give them a boost by asking them to further elaborate on some detail about themselves they mentioned in their intro. If there is no designated host, then I take the lead and like a catalyst, start the formal introductions within the group. Others are sure to join in. 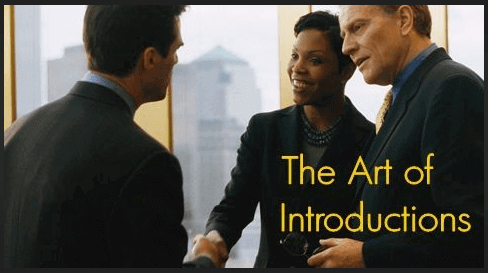 Proper introductions and a polished host can go a long way to set people at ease, allow them to connect with others and help them share their commonality of knowledge, skill or interest. This is a key skill in furthering our efficient and networking productivity. For me, the actual gift was in being absent and removed from my group for that initial 20 minutes. This allowed me to fully witness and feel what it is like when proper formal introductions early in a social event are not done. People may feel like they are on the outside looking in. Are YOU Genuine? Authentic? Yourself ? Softskills are what keeps us humans marketable, employed and alive. Public speakers of every age can benefit by practising the exercises Lisa gives on her website. Lisa’s book is based on her real feedback of teaching better communication skills over nearly 10 years with clients from individuals to fortune 500 executives. It is invaluable as Lisa emphasizes the problem areas she identified lacking, in either communications, public speaking or leadership. To become an effective leader, along with leadership skills you also need communication skills and leadership abilities. Also, Lisa speaks of extras from her website, which is a self-paced workshop of exercises, such as introducing yourself, both orally, in e-mails and in social media. Since then, I have constantly followed her great tips, both from her website and her syndicated location on iTunes. Her first book is Ace Your Interview which you can also buy directly from her website or any online bookstore. Softskills development is paramount in celebration during our Spring Convention of Toastmasters. I am joined by my special guest co-host and Competent Leadership mentor, Christina. We open the show by discussing our activities and features we took in at our District 42 Spring Convention. So what goes on at a Spring Convention? Well, quite a bit. Every Toastmaster on the globe knows it as the face off battle for the coveted World Championship of Public Speaking or WCPS. The winner proceeds to the world stage. That is at the annual Toastmasters International Convention. There is also the more mundane, but still very important administrative tasks. One such is the business meeting. Want to know why we practise parliamentary procedures in our regular meetings? Watch a well run biz meeting and it will become self evident. Every club should ensure to have 1 or 2 biz meetings each month. And the educationals are also a big attraction. Sometimes they are people from outside the Toastmasters realm. Most certainly, there is something there for every aspect of a well rounded toastmaster. Every district has their own. They are addictive however; but a GOOD addictive. For everyone, the spring conventions are a great way to network. You meet new toastmasters and re-affirm past connections. After I take in some educationals there, I go to my feature interview with Ms. Sarah Imran. Sarah presented an educational which I took in entitled Conversations Powered by Technology Just for You. In her 45 minute presentation, Sarah spoke about how the 5 most popular social network tools today, being Twitter, FaceBook, YouTube and WordPress are used. These make up a collaborative power of online communities, which cannot be ignored. Being a dynamic person has many virtues. Our weather this past spring has shown more dynamics than usual. Living only 1 hour away from the world famous Banff, Lake Louise & Sunshine Mountain resorts in the Canadian Rockies may take some credit. Throw in some sprinkling of the global warming phoneomenon, and you have the makings of some tumultuous weather. Much the same, I realized that our economy, both world and personal, may also have dynamics like our weather – call it the Dynamics of Real Life. Being an avid cyclist, I try to get in a ride whenever I can. Almost always this revolves around the weather, beit the affects of temperature, rain or wind. So if the weather is good – cycle. If not, then have a Plan A, B and even C.
Opportunities abound us constantly. They can be small daily opportunities or the all-out lifetime type; the fork in the road. But they are all stepping stones, which makes it important for us to be able to recognize a potential opportunity very expediently, because you have to act fast (if you decide to run with it). These could be related to your career, your hobbies, even while riding a bike and you see a new road and don’t know where it goes. Taking it may dawn a new loop you can use for variety in your riding curriculum. Even if taking a new opportunity doesn’t yield much, you still learn something from it. And anything we learn, we can always leverage forward to something new. So the cost is little, only time perhaps. We should be cognizant and receptive of this when major (to us anyways) situations occur. It can be when our car breaksdown in the middle of a freeway, when we lose our jobs or when a close friend moves away. It’s like when you are taking a routine walk along your select route and one day you take a different leg. You may find a nice park with a bench, just ideal for reading. Of course, what we recognize as opportunity others may not. It’s all based on our individual value system. Each and every person has their own, so what someone values, you may not see any worth in. So keep a constant lookout for opportunity. Change – Good or Bad ? Confidence – Growing or Fading ? 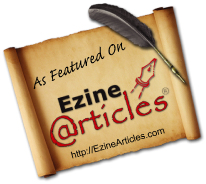 We talk of it – growing and building this elusive human attribute. We, the most optimistic creature on the planet, always talk about it, of it increasing – growing – the upside. BUT what happens when it doesn’t, and something that we keep doing, repititively, keeps taking our confidence down, down, DOWN. Then what? Do you just stop doing what you are doing? Then, what do you do instead? Can your loss of confidence spread to other things you do? No doubt gaining confidence is a feel good about yourself result. It’s one of the best rewards one can imagine and hope for. Because it is an attribute and feat you can take with you forward, till your last days, to whatever else you want to do. It is a generic all-encompassing attribute. Confidence gained from running a marathon, can be used and applied when we go to college, take flying lessons, or impose a variety of seemingly impossible tasks upon ourselves. But if your confidence fades and wanes, then the opposite is true. You do NOT feel very good about yourself. You begin to doubt yourself. That can also spread to most anything else you try or need to do. Like the popular epitaph, “We are the masters of our own demise”, perhaps ? I guess this is one of the many that belong to the “list of unwritten rules”; the stuff no one wants to talk about. Why doesn’t anyone want to talk about it? Could it be because we are all experts at it so there is no need to belabor it? Have we simply beaten the topic to death? I believe it’s one of those topics no one wants to consul or talk about. It’s seen as a negative, a deterrent to all things good and positive. I guess the reason(s) could be bountiful. The solution? Even more so- and perhaps VERY time consuming. Perhaps like recovering from alcoholism – you may even have to analyze the persons’ psyche. Every now and then I power up my “wonder box” and tune in to Jian Ghomeshi on CBC’s QTV (http://www.cbc.ca/q ), also found on YouTube. I have now watched this specific interview with “The Amazing Kreskin – Mentalist” (who hales from Montclair, Mass, the US of A) several times. He has been around performing his mind reading feats since the 70’s. Get a coffee or whatever favorite beverage you like, as it goes about 30 mins. Social Media allows us quicker connection, BUT does it make us better communicators, either virtual or in-person ? If this isn’t another plug for Toastmasters and other forms of social development – and what it can do for you ! Mentorship and coaching goes a long way to achieving success. Having been in the land of midlife for awhile now, one of the many reflections I have is on the topic of mentoring, mentorship and coaching in general. It started in thought within Toastmasters, but spread quickly to the boundaries of life itself. Many people who are successful (definition bears a superflous discussion in itself) began in the early years by hooking up with a MENTOR. It could have been a father or mother in the family business. It could have been a good friend or person who gave someone their first job. It could have been someone who recognized a talent, passion or skill in their young mentee and decided to take them “under their wing”. Then one thing leads to another and both progress. But there are those rare individuals who are self-taught and fundamentally, did it all on their own. Now I speculate that there aren’t that many. There are those who “claim” they did it on their own, but really, if dug deeper, you would find they too, had a mentor or some mentorship that developed somewhere in their early days. Working without a mentor means a person will make mistakes and learn from them, which is good. The problem is that recovering from mistakes can take time ………… and money. If these mistakes are too severe, recovery from such could be costly and a major setback, as the person waits for the dust to settle and the events to simply work themselves out. One common example is betting the family farm on the next “whiz bang” idea or hot tip on the stock market. A mistake like that can teach alot, but cost huge. Working with a mentor, means trusting someone beyond question, freeing your creativity and drive to do whatever you are striving at. It could be mentoring on a career path, how to succeed in business, how to become a better cyclist, etc, etc. The ideas are endless. But you have no fear of failure and failing, because your mentor would not let you fail, correct ? (Well, in most cases and I suppose there are exceptions). We depend on many of them, within Toastmasters. Ever think about your softskills? How do you maintain yours? After having some time to be away from To My NON-Toastmaster Listeners, I had a further view of regular maintenance to our soft-skills skillset. Like many things in life that we do regularly, daily or whatever, such as brushing our teeth, bathing, our soft skills, in addition to being developed, also need regular maintenance and honing. On another front, so many offers we are made, thru e-mails, telephone solicitation, internet and the like, all result is someone else making money off YOU, in the “not too distant future”, from the time you get their “Great Offer – Too Good to Pass Up!”. It’s the typical, this is what YOU NEED to help you do THIS or become RICH. I have finally begun UN-subscribing to many of my e-mail subscriptions because they ensure SOMEONE ELSE PROSPERS. Many of these subscriptions and great offers, also need a significant amount of my time. This time invested and the possible return to me, is somewhat suspect. And time is a valuable resource none of us should waste. I can say openly I am not afraid of pushing Toastmasters, for regular weekly or bi-weekly “soft-skills personal maintenance” because I make nothing from it. For approximately $100 a year ( or thereabouts – more if a dinner club, ) the returns are yours to cash in on; soft-skills development and maintenance. YOU make the returns on this investment, more so than anyone else. Your returns from this investment, is almost immediate.